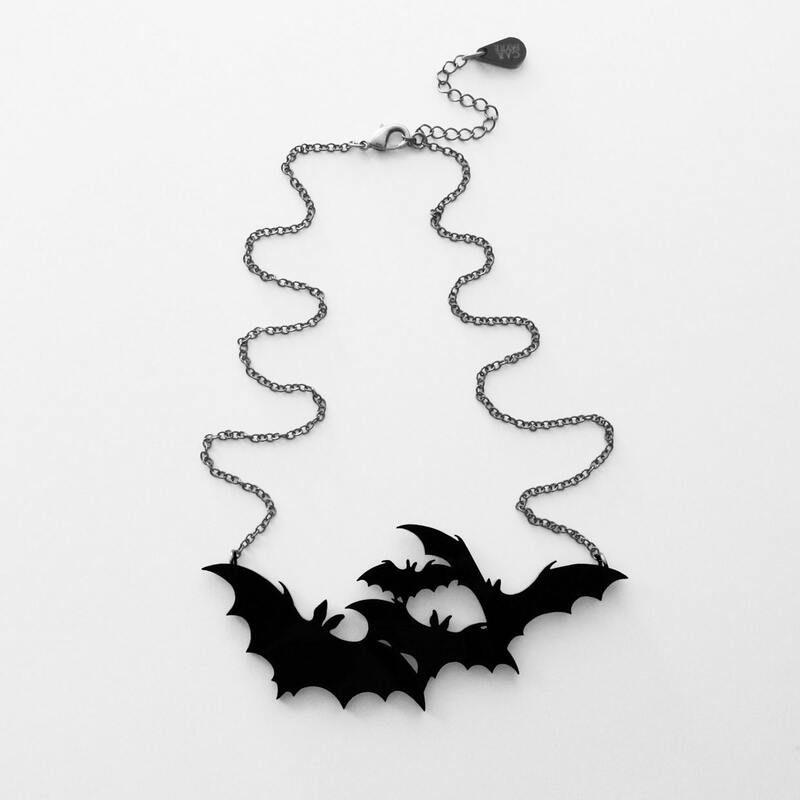 This bat necklace may be absolutely perfect for October but it can easily be worn all year round by anyone with a love for these amazing little dark loving creatures! 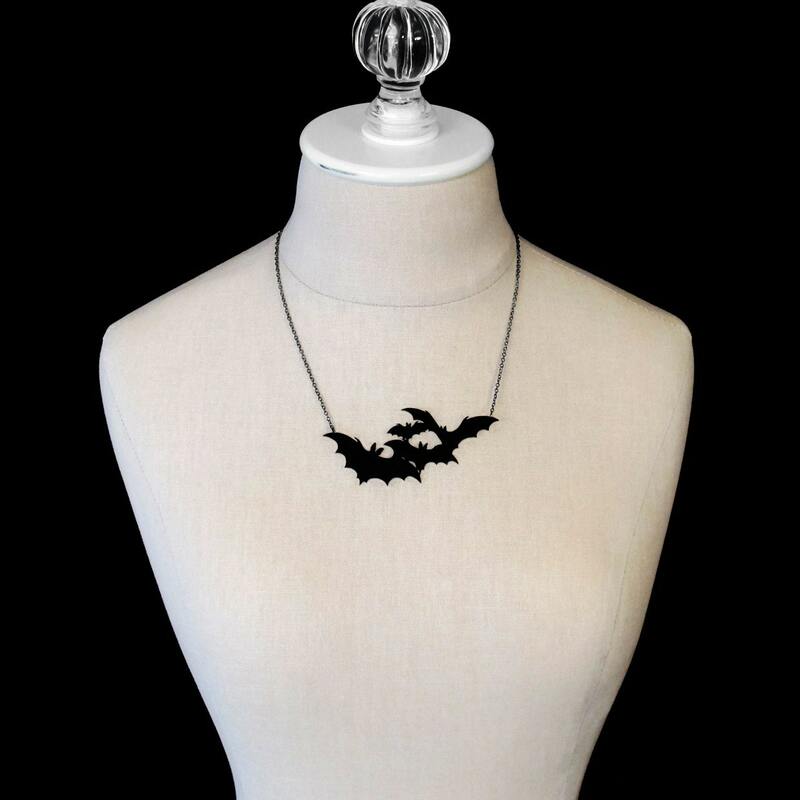 The necklace features a silhouette of a small group of 4 bats and got it's name from a poem recited by the Mad Hatter in Lewis Carroll's Alice's Adventures in Wonderland. 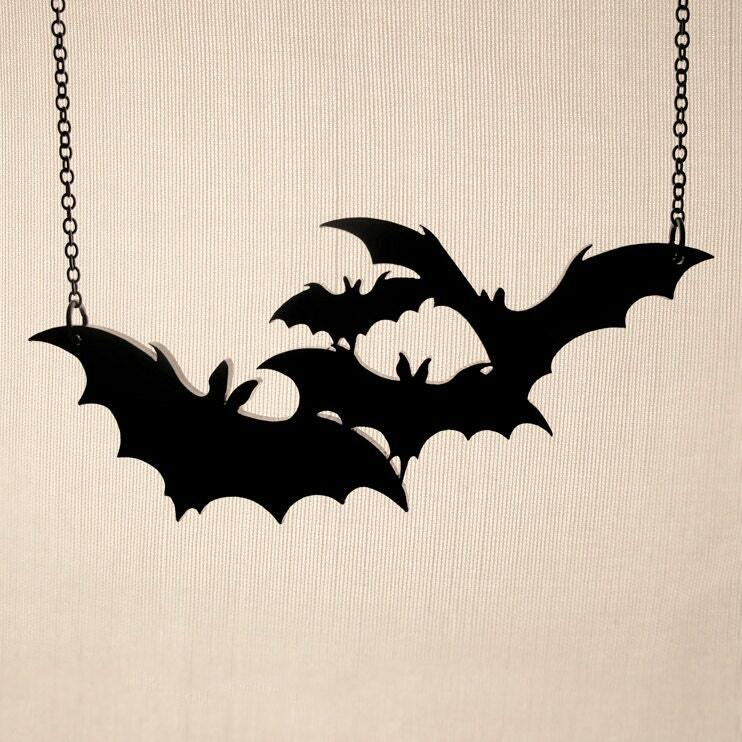 Bat Pendant Size: about 3.7" x 1.5"